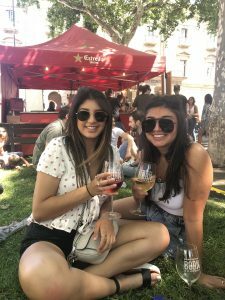 We caught up with SAI Ambassador Victoria, who answers some questions about her time in Barcelona. How has studying abroad impacted life goals? Studying abroad has impacted my life goals extremely. First off I am form New Jersey and I chose to go to college in Alabama and that was an extreme change for me that I was worried about but ended up having the best experience I could have. 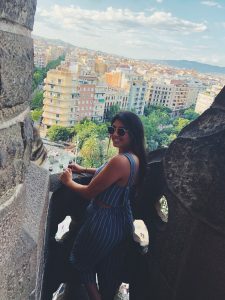 I never saw myself studying abroad and never actually sat down and thought about doing it until one day I realized how important it was for me to travel and experience new things. I believed that studying abroad at this phase in my life was a once in a lifetime chance and I had to take the opportunity. I believe travel is extremely important and seeing different cultures, meeting new people, and trying new things are all part of my life goals and if I didn’t study abroad I would have never come to that realization. What has study abroad teach you about the world? My study abroad experience has taught me a significant amount about the world itself. I have been so stuck in my own little bubble of my family and friends and my culture in New Jersey that when I saw how people do things very differently it was eye opening. 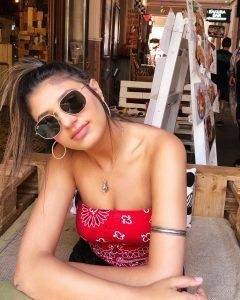 The world has so much to offer from different cultures, foods, people, and more I feel it is so important to explore all of that and educate yourself on new places and what they have to offer. 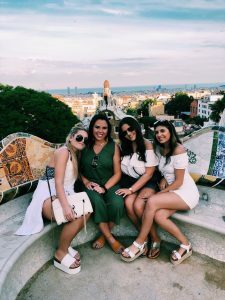 Victoria was a summer 2018 SAI Barcelona student from the University of Alabama.